Claire's world changed drastically when she was nine years old. Her father took her little sister Alice to America and never returned. Claire and her mother tried to find Alice and Claire even hired several private detectives, but they never succeeded. To emotionally support her heartbroken mother Claire and her family share a house with her. It's the perfect solution as Claire is a working mother and her husband Luke has a creative profession. He works from home, but is often busy and then Claire's mother is taking care of her grandchildren. It's an ideal setup and everyone is content with it. One day a letter arrives from Alice. Plans are quickly being made and Alice will travel to the United Kingdom where she can stay with Claire's family for several weeks. When Alice arrives Claire doesn't have a good feeling from the start. Alice makes Claire look bad, she flirts with her husband, she turns their mother against her and she does little sneaky things that hurt Claire. Claire thinks Alice is trying to alienate her from her family. However, the only one who feels this way is Claire. Is Alice innocent and is Claire jealous and paranoid or is something else going on? Which sister is telling lies and which one is telling the truth? Claire is a successful business woman. She's organized and she's the main breadwinner of the family. Her husband is a painter and he takes care of their little girls together with Claire's mother. I loved their way of doing things. When Alice arrives she disrupts Claire's peace and this causes problems between Claire and her husband. I was intrigued from the start. Alice seems to be really sweet and always ready to help. She immediately feels at home in Claire's house and because of that to Claire it feels no longer like home. Sue Fortin describes her emotions in an honest and realistic way and I couldn't wait to find out the truth. The dynamics between the two sisters are fascinating and they kept me on the edge of my seat. Sue Fortin knows how to build tension and she combines it with a strong story and plenty of surprising twists and turns. Sister, Sister is gripping and very well written. Because of Sue Fortin's vivid descriptions I could almost feel Claire's pain and frustration. The question is if she's going crazy or if something else is going on and I loved that idea. It's the perfect theme for a creepy novel. The fabulous setting, a seaside area that can both be inviting during the day and scary at night, makes the story complete. Sister, Sister is a story about family. I'm a big fan of stories that revolve around sisters and Sue Fortin has written a brilliant book about one of my favorite topics. I love Sue Fortin's work. She always manages to captivate me right from the start. Her stories are interesting and there's usually a mystery that can be viewed from many different angles. For me that's the most enjoyable thing about her work, she leaves room for speculation, but she does give her readers direction as well, letting them solve the mystery together with her main character. This combination of elements works incredibly well and I highly recommend Sister, Sister. It's a fantastic multilayered and compelling book. Pebbly beach. Fish & chips. Brighton Pier. Seaside rock. Promenade walks. 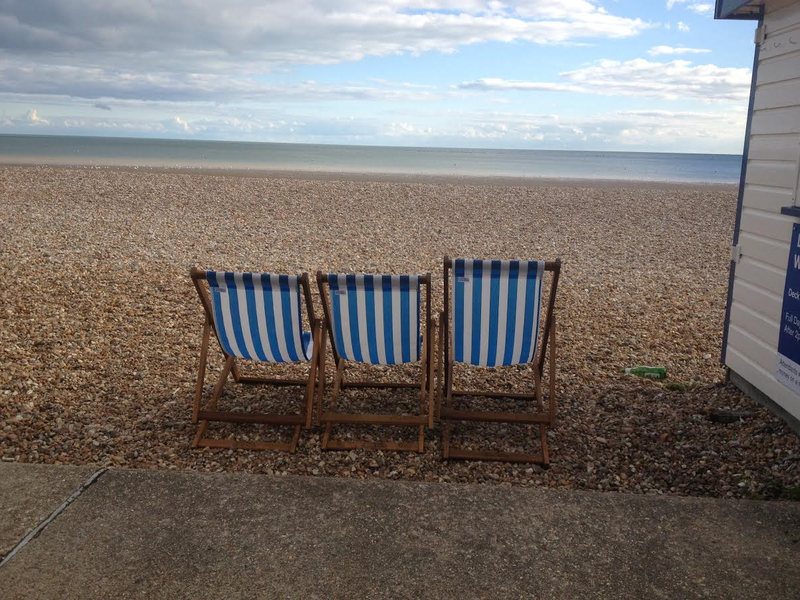 These are all things I associate with Brighton beach. 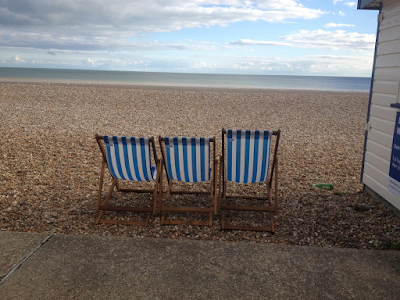 Brighton itself is only a forty-minute drive along the coast from my home and I do like to visit there. It’s such a cosmopolitan and vibrant city that it’s earned the nickname of London by the Sea and yet still managed to retain its English seaside town feel. 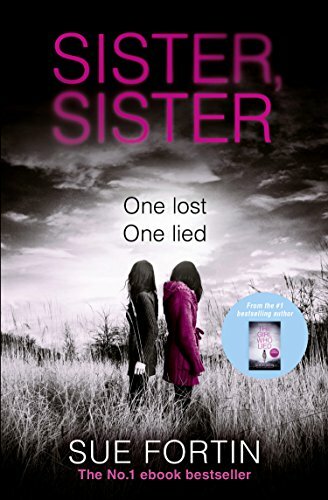 I chose Brighton to set my latest book, ‘Sister, Sister’, because it’s a place I’m familiar with and will also hold a wide appeal to people from both around and outside of the area. My main character, Clare Tennison, is a career woman and works in Brighton as a solicitor, but she lives in a small village about 30 minutes away called Little Dray. This is actually a fictitious village I created to suit the plot line of the novel. Brighton is a major tourist city and when I started writing Sister, Sister, I used one of its then famous landmarks, the Brighton Eye in the book. 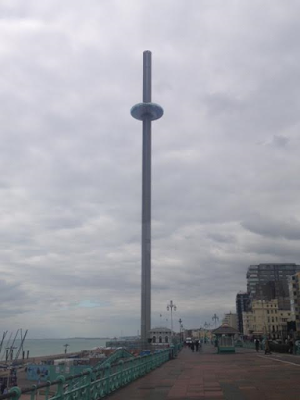 However, when it came to editing the book several months later, that particular attraction had been removed and replaced with the Brighton i360. Fortunately, the i360 worked just as well as the previous attraction so it didn’t interfere with the plot. I really enjoyed using Brighton as a setting and have used it in my previous books. I have no doubt it will appear in future books too! Published by Harper Collins' imprint Harper Impulse, Sue Fortin writes gripping dramas. Sue is an Amazon best selling author, The Girl Who Lied, reaching #1 in the UK in 2016. Her novel, Closing In, became a best seller in 2014 reaching #1 in the Kobo Romantic Suspense chart. Her originally self-published debut novel, United States of Love, was awarded the INDIE Brag Medallion and later when published by HarperImpulse was short-listed for the Joan Hessayon Award (2014). Sue was also short-listed for the Festival of Romance, New Talent Award (2013). Sue blogs regularly with the on-line writing group The Romaniacs (www.theromaniacs.co.uk). This is one on my list. It sounds thrilling. Good sibling, bad sibling. I wonder if I get it right. You never know which one is really the bad one. Sue is a new author to me and I'm excited to read Sister, Sister. Alice kinda reminds me of my sister, unfortunately. Sounds a little bit creepy and interesting. The complex relationship between sisters is something I can understand, can't wait to find out the ending! Sounds engrossing and brilliant. Thank you for posting. Great review, the book sounds fabulous. Wow, this sounds intriguing. I love books about sisters! I like books with complex plotlines and mysteries. Hum, I wonder what the outcome will be? I think you'd love this book :). I love the phots, so pretty and peaceful. Sounds like someone is overly comfortable in her sisters house and not all is as it seems. 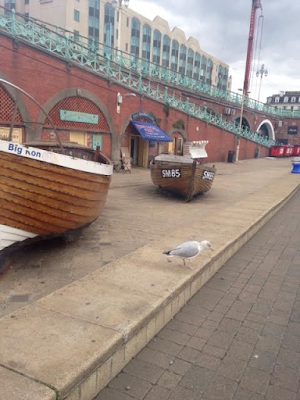 I've been to Brighton Beach and liked the rocky beach. This book sounds intriguing. This book sounds amazing. I love books that are thrillers and this one doesn't look like a dull read! I think it's better when authors write about areas they're familiar with than trying to write about a place they're unsure of. It gives the book more realism. Sue is a new Author for me bout the suspense of this story has me very excited about reading it. Thank you for the review.